Open-source research software to simulate and fit neutron and x-ray reflectometry and grazing-incidence small-angle scattering. Its name, BornAgain, alludes to the central role of the distorted-wave Born approximation in the physical description of the scattering process. 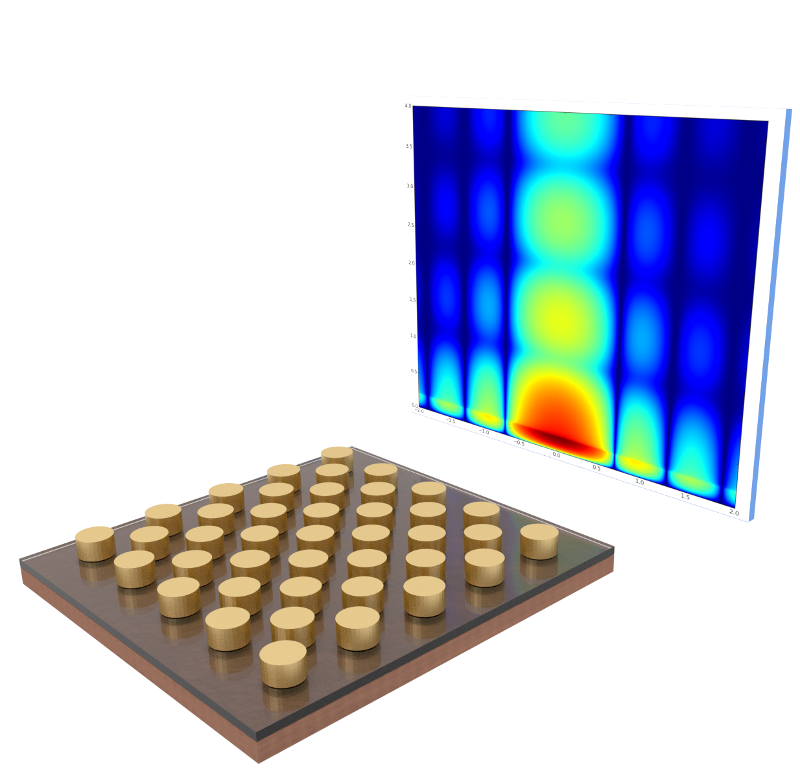 The software provides a generic framework for modeling multilayer samples with smooth or rough interfaces and with various types of embedded nanoparticles. BornAgain is an open-source project maintained on GitHub. Multi-platform framework available in Windows, MacOS and Linux. Written in C++, provided with Python bindings and standalone graphical user interface. 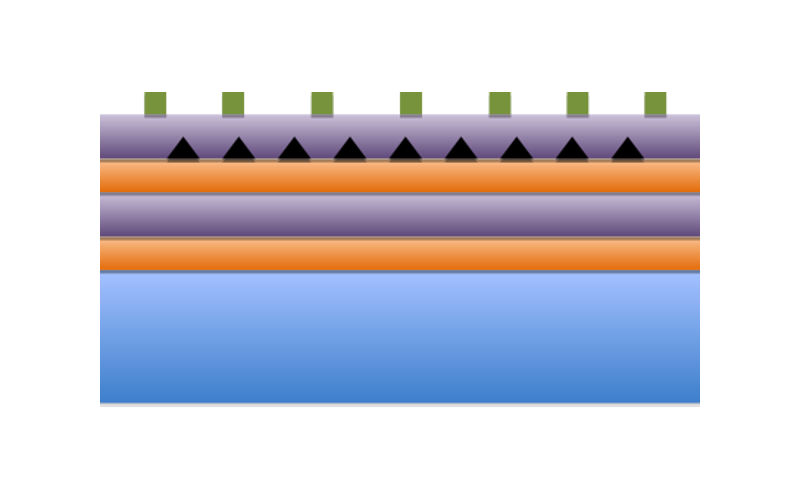 X-rays, non-polarized and polarized neutrons, arbitrary number of layers, rough interfaces, simple and composite particles, correlated positions, magnetic materials. 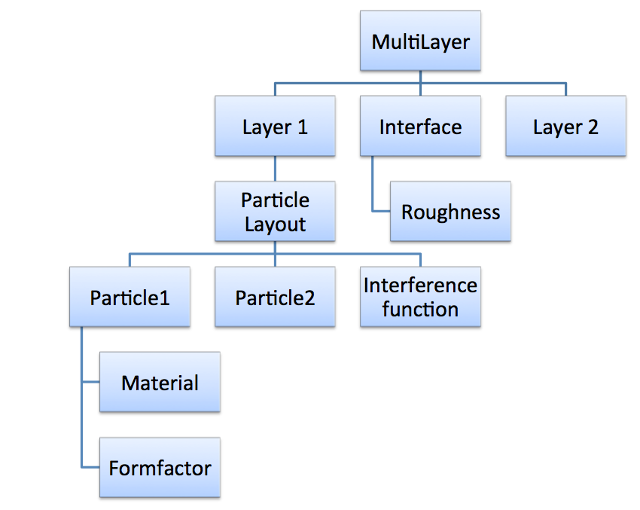 Sample structure, beam and detector are defined via building blocks, which are combined by the user into a hierarchical tree of objects representing a simulation. 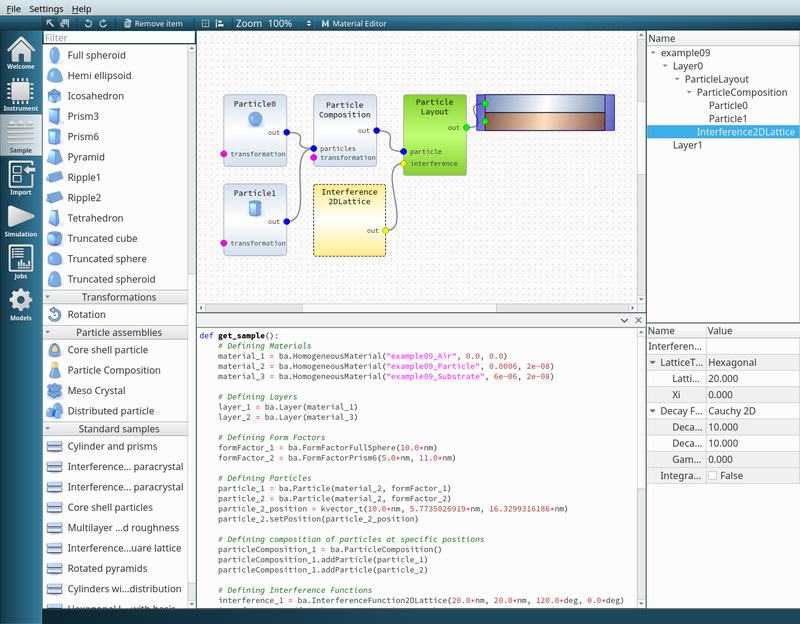 High level of flexibility and possibility to extend physical models following user requests. Convenient graphical user interface to define a sample in drag-and-drop style. Possibility to export sample description and simulation settings to Python script and continue the work gui-less.